You, or your band or ensemble, are finally ready to make a CD. Rather than do it yourself at home, you want a professional sound, so you're paying to go into a studio. But what should you look for? One of the first things to consider is whether the studio is large enough to hold you all. Some larger studios contain massive "live rooms" that can hold an entire orchestra. Others can be small, literally additions to suburban houses where you can't even fit a rock band all at once. If you're going to record "live," as many do, the space not only has to be big enough to accommodate you all, but you also have to be able to see each other. How close is it to home? Unless you're staying at the studio (many larger ones also offer a place to stay, and sometimes even catering - at a hefty price), it's worth considering. If one of the members has to drive 100 miles before even beginning to play, he's not going to be at his best. As far as possible, try and pick somewhere local. Is it on the ground floor? If not, is there ample lift space? The last thing you want is to haul gear up flights of stairs before recording (and then take it down after). Visit the studio before making any decision. See how you feel in the space. Sometimes, for no obvious reason, you might not like a particular place. If that's the case, you're certainly not going to produce your best work there. Find out who else has recorded there. If possible, contact them and ask about their experience. The studio itself is important, but the engineer you work with can make or break a project. Big name bands can hire the engineers they want. For most people, however, it's whoever comes as part of the deal. With larger studios, the engineer will be an employee; in the case of smaller outfits, it's almost certain to be the person who owns the studio. Discover what projects they've done and listen to them. Is the engineer used to working with your style of music? Are they genuinely sympathetic to what you're trying to achieve, or is this just another job? How do you get along with them personally? These are the twin hearts of the studio. The board controls the sound, and the recording gear captures it. Almost every studio these days is digital, recording onto hard disk. What system do they use (e.g. Pro Tools, Cool Edit), and what onboard gear does it offer? How many tracks does the equipment have? If it's just a small number and you're a large ensemble, a lot of audio juggling could be involved. Don't be afraid to ask questions or for demonstrations - most engineers are eager to show off their boards and gear and their capabilities. Make sure you listen through the monitor speakers to something that's been recorded. The sound should be clear and sharp, with plenty of treble and bass. These are your reference speakers; you need them to be the best. Ask about the microphones they have. There should be a large variety, some specifically for voices, and others for instruments. The engineer should know, and be able to describe, their different strengths and properties. Ultimately, the money you have to spend dictates everything. 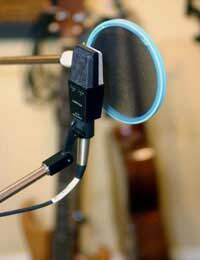 Think very seriously about the amount you can spend on a recording. Many studios will offer packages during slack times - say a full day for a certain amount of money, including engineer. Remember, though, that physically recording is only half the process. You also have to mix the recording. That can be accomplished later, either at the same studio or somewhere cheaper, if you desire, but most artists want to complete everything in one go. Allow plenty of time for mixing in your budget - you'll need it. You can explain your situation to the studio owner. Tell them how much you have to spend, and let them offer a deal. If business is slack, they'll probably be happy to work something out, as long as they can make a profit.